Welcome to Bellevue West, our luxury apartments in Nashville TN. Nestled in the scenic hills of the Bellevue area of Nashville, Bellevue West is beautifully landscaped and conveniently located providing a wonderful living experience. Enjoy our surrounding lakes, expansive clubhouse, resort style pools, top of the line fitness center and so much more. 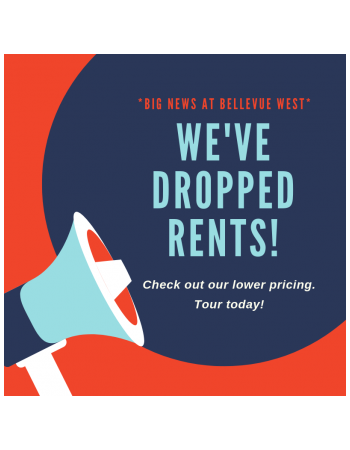 Bellevue West provides spacious one and two bedroom apartment homes and one and two bedroom townhomes with several floor plan options to choose from. You are sure to find your new home at Bellevue West. Two pet maximum per home. Breed restrictions do apply. Contact Leasing Office for additional information regarding associated costs.